Center for Juvenile Management, Inc. was established in 1994 as a 501 © non-profit organization. Our mission is to empower and enable at risk youth in bexar county to reach their fullest potential through our education, housing, job training, support and continuum of care services program that are tailored to suit the needs of our youth and families. At Center for Juvenile Management we strive to strengthen families through our youth and family services available in San Antonio. 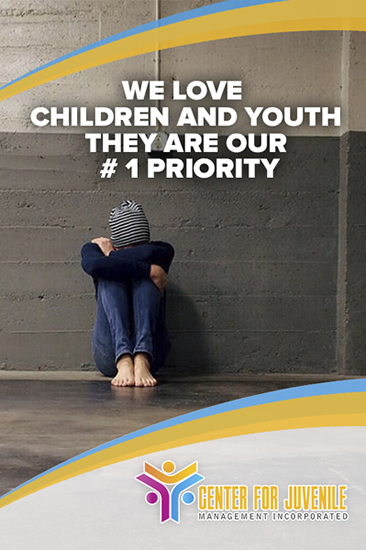 Our objective is to reduce child maltreatment, truancy, juvenile delinquency, as well as, increase families’ protective factors and resiliency to crisis. Would like to stay informed? Visit our Facebook Page where we will provide you with weekly updates; pictures, videos and much more information about Center for Juvenile Management Incorporated. Give us a like and share our passion. Center for Juvenile Management © 2019.